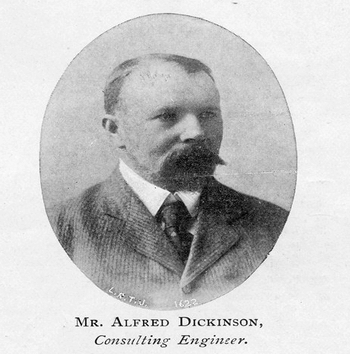 HF: Peter Taylor, the great, great nephew of Alfred Dickinson, has left a comment below our article, Alfred Dickinson, Consulting Engineer HK Tramways, linked below, about Mr Dickinson. I thought this was of sufficient interest and value to post in a separate article. Peter wrote in reply to an enquiry I made about whether he could offer any information about Mr Dickinson who was involved in the development of the Trams in Hong Kong. HF: I look forward with great interest to reading Peter’s biography and hopefully with his pemission adding further information about Dickinson’s life and in particular his involvement in the development of its Hong Kong Trams.